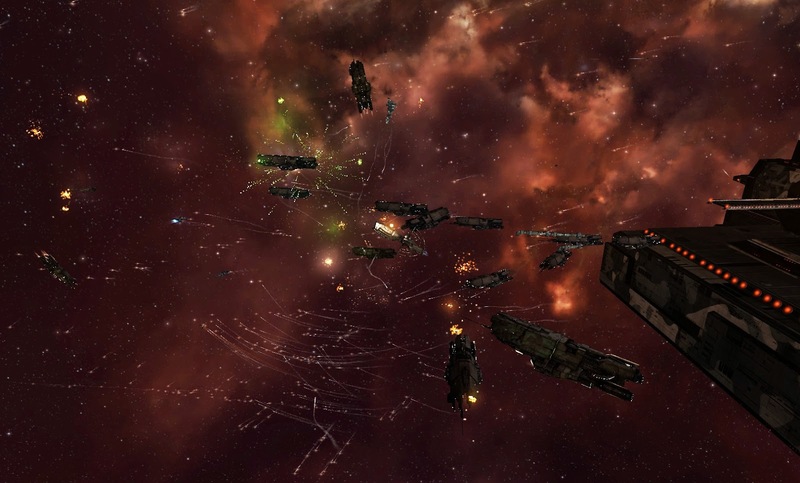 As of 25 November YC116 the capsuleer alliance Ushra'Khan has turned a decade old. 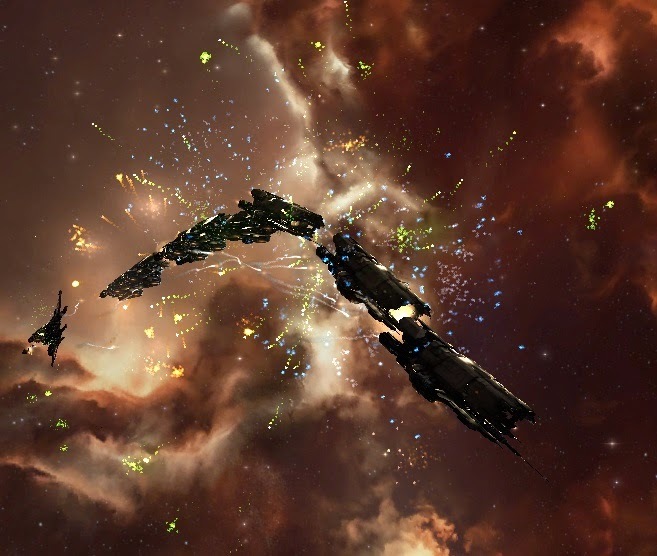 With this, they are the oldest capsuleer alliance in all of New Eden. But their ideals & organisation predates this official founding by far. Ever since the capsule & cloning tech were successfully joined, the Minmatar capsuleers rose to arms to free their brothers & sisters who were enslaved by the Amarr. Through this tenacity & determination to oppose the might of the Amarr Empire, the spirit & strength of Ushra'Khan was given shape. No matter what it takes, no matter how costly it would be, Ushra'Khan vowed that they would come for their people, to liberate them from the shackles of slavery. And liberate they did, for a decade they fought the Amarr Empire capsuleers and their slavers, liberating many of their brothers & sisters from slavery. Some went to the republic, to live a free life, others joined Ushra'Khan, so they could in turn help those left in the shackles of slavery. 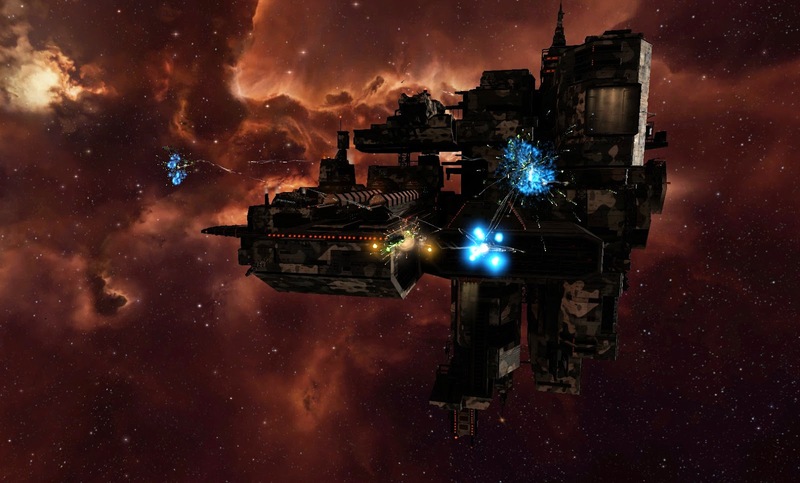 Over the years they fought practically everywhere, from highsec to lowsec and in nullsec. Nowadays they keep a much lower profile then they used to, as attention brings it's own drawbacks. To stay under the radar means you can fight with less distractions. A more detailed history of Ushra'Khan can be found on their page: Ushra'Khan Along with their history, it also mentioned various key events where they participated in or even influenced them in their favor! One of their most recent combat operations got featured in Aurora News: Ushra'Khan liberates slaves in Amarr! In order to honour this decade of fighting for the freedom of the Minmatar, Ushra'Khan organized a public celebration in Rens, to kick off a week of festivities for their decennial, inviting others to come over & join in the festivities! Firework greeting travellers at the Rens tradehub undock area! And so it begins! At 20H there's already a large group present at the Brutor Tribe Treasury station, the main trade hub of Rens. Many of the pilots present were cheering and send Ushra'Khan members their well-wishes for their decennial birthday! A few confused capsuleers were quickly brought up to date on what was happening and subsequently got showered under fireworks! During this, a temporary display was revealed, a group of cans, spelling out UNITY in space as you undocked from the trade hub station. As the celebration went on, the crowd grew bigger. Various Ushra'Khan pilots also jettisoned free gifts to whoever could grab them! These gifts ranged from drones to guns & ammo. During all this, they also handed out Khumaaks, a powerful minmatar symbol, to those who were interested. I managed to get one! Q: Who was the leader of the Minmatar Republic before Shakor? Q: What is the original name of DeT Resprox, before the Concord database wipe? Q: What is the name given to the tattoo ceremony, when a Matari is given their permanent markings? Q: Which planet in which system did the Minmatar first colonize? After this first round, a break was called, which people happily used to lob massive amounts of fireworks at each other! But then commotion! The Y in the UNITY display was deformed! Someone was stealing display cans! And all of a sudden, their time-honed combat skills surfaced and Ushra'Khan capsuleers downed the thief! Arkoth 24 won't be stealing no more! But this incident contributed to the festivities, as certain members boasted that now something has been shot, it was a proper Uskra'Khan celebration! Light em up boys! You only turn 10 once! During the break, many more pilots joined the festivities, some wondering what was going on, but with a good salvo of fireworks and a few shouts of the Ushra'Khan decennial celebration, everyone was brought up in speed & in the mood. The large amounts of booze consumed added to the party-feel. The massive amounts of fireworks often lighted up the whole place, causing great cheers from the crowd. Often, some pilots would fly fast, dragging more & more firework missiles behind them, until they halted & all the fireworks exploded together in a massive pyrotechnic display! Second Quiz round! Bigger round, bigger prizes! Then the next Quiz round was announced, and DeT Resprox once again called for attention. It attributes to his commanding presence that the chatter died down a little during the quiz, allowing people to follow it better. During the Quiz, people formed a conga line with their ships, dominated by the Typhoon battleship & crossed with various fireworks! The Typhoon Conga! Light up that booty! And here's the questions & answers of the second quiz round, along with the winners & their prizes! Congratulations to all participants and those that donated to the prizes! Q: Which famed adversary alliance turns 10 this Sunday (30 November)? Q: Who founded the Ushra'Khan alliance? Q: Which organisation did Captain Karishal Muritor represent? 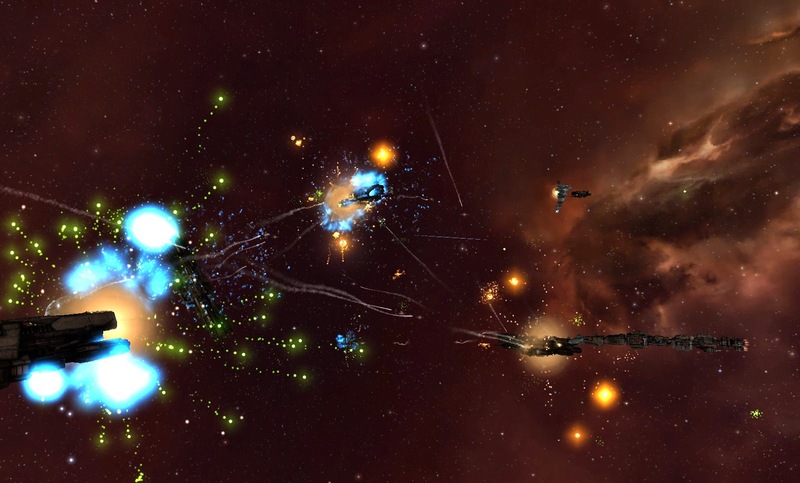 Q: In which system did the Defiants make their last stand? Q: Who was the first pilot to reach 10.00 standing with the original TRIAD Agency? And with the last question, the event ended. And all of a sudden, they were all gone, as duty called. After all, while they did celebrate 10 years of fighting for freedom, they would have many years ahead of them to continue fighting for freedom for their enslaved brothers & sisters. The sudden shift from party fireworks fleet to combat operation fleet mode is a testimony to the skill & dedication of the Ushra'Khan pilots. Where have all the good men gone? Where are all the heroes? For those who were there to just party, it felt eerie, yet fitting. One moment it was all a party, the next nothing, save a few ships, as if there never was a party present.... A fitting end to a celebration hosted by Ushra'Khan! It was a very enjoyable celebration, and the comments in local affirm this! Many pilots had fun alongside me, celebrating the decennial. 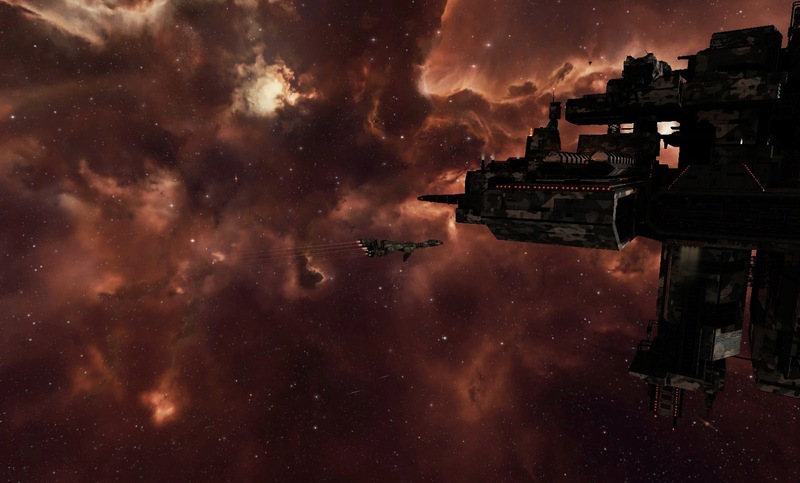 The fleet of Typhoon battleships especially impressed the various young capsuleers who payed the local trade hub a visit. The large amount of fireworks being shot was a great crowdpleaser & attracted the attention of the trade-hub visitors, of which some decided to stick around & join in the festivities! The Khumaak I received from Ushra'Khan will get a prominent spot in the Arcology museum, where it can serve as an inspiration to the many recently freed slaves. The Stabber Fleet Issue quiz prize will find itself a neat spot in the Ship Display Hall at the Aurora Arcology, for visitors to gawk at. The quiz itself was neat, offering questions of varying difficulty and a great way to learn a bit about Ushra'Khan & Minmatar culture. The neat prizes offered did also help to motivate people to participate!